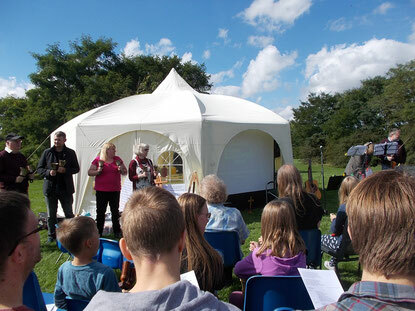 The Rufford Brickworks Church Plant came into being in September 2014. Thirty years previously St Marks Church Stambermill which had served this area was demolished and resources were focused on Christ Church on Lye High Street. For many years we had prayed thought and tried various ways of replanting a church on the Rufford estate. On Sunday 11th September Rev Tom Fish was inducted as Associate Priest with responsibility for Brickworks church.